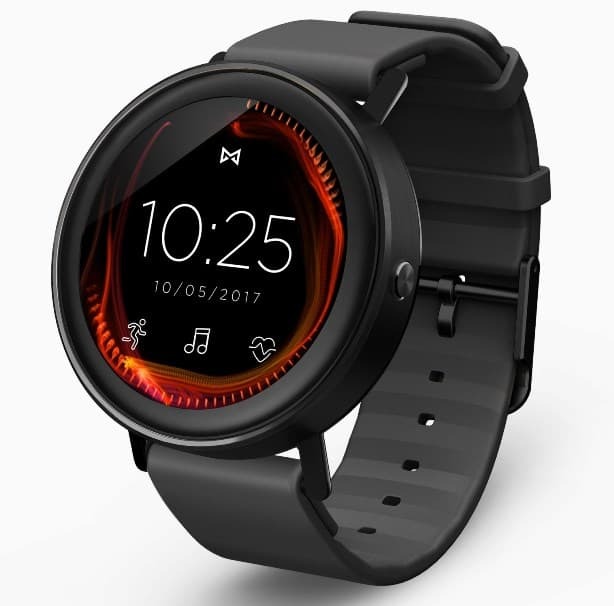 Misfit, an American consumer electronics company owned by Fossil group, on Wednesday launched its first touchscreen smartwatch- Misfit Vapor for India. Priced at Rs. 14,495 it would retail exclusively via e-commerce site- Flipkart. The wearable activity tracker sports Android Wear 2.0 and comes powered by Qualcomm Snapdragon Wear 2100 Processor. It further features virtual bezel for quick navigation and 1.39 Full Round AMOLED display (pixel density of 326 ppi) with water resistant touchscreen. The smartwatch pairs well with the smartphone Android phones running Android 4.3 and above as well as iPhone handsets running iOS 9 and above. It also connects to Wi-Fi for standalone capabilities, supporting Bluetooth. Misfit Vapor further houses advanced fitness tracking features that keep track of the time, the number of steps one takes as also one’s heart rate with the help of built-in Optical Heart Rate sensor. Apart from that the users can get notifications, make and answer calls and listen to music on the go. The GPS helps by tracking and displaying one’s activity and run routes, helpful metrics and stats. Internal memory on offer is 4 GB and RAM is of 1 GB with 2 years of international warranty. Other miscellaneous features include an accelerometer, altimeter, gyroscope, GPS and microphone. Misfit Vapor smartwatch will be available in two variants of Jet Black and Rose Gold colors on Flipkart.